.NET Framework 3.5 is an important feature for running many Windows applications, but some users reported that this feature isn’t turned on in Windows 10 Technical Preview, or that they have some problems installing it. The .NET Framework is a crucial part of many applications running on Windows platforms. 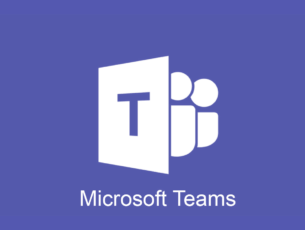 This feature provides a necessary functionality for these apps to run normally. Logically, before installing these apps we need to enable .NET Framework on our computer. Microsoft .NET Framework 3.5 offline installer – In order to install .NET Framework 3.5, you need to have an active Internet connection, but you can also install this framework using the offline installer. NET Framework 3.5 error 0x800f0906, 0x800f0922, 0x800f081f – Sometimes you might not be able to install .NET Framework due to various errors. We already covered common .NET Framework 3.5 errors in one of our older articles, so be sure to check it out. 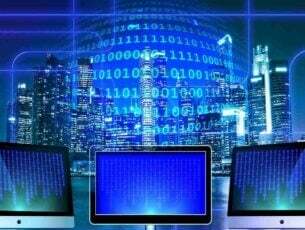 NET Framework 3.5 The following feature couldn’t be installed, The source files could not be found – Sometimes you won’t be able to install .NET Framework due to these messages. However, you might be able to solve that problem using one of our solutions. 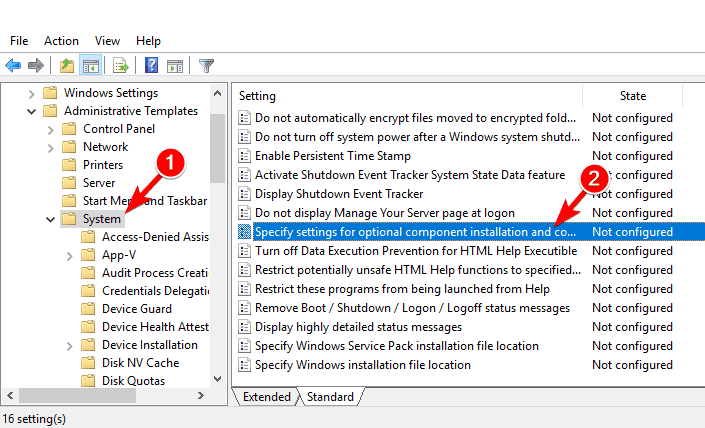 .NET Framework 3.5 unable to install – In some cases you might not be able to install ,NET Framework at all. This is is most likely caused by your settings or corrupted files, but you can easily fix that. Press Windows key and R at the same time. 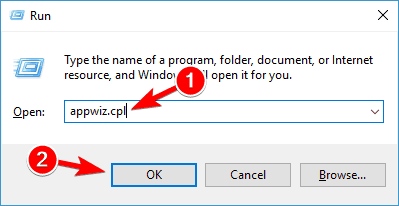 Type appwiz.cpl in the Run command box and press Enter or click OK. In the Programs and Features window, click on the link Turn Windows features on or off. 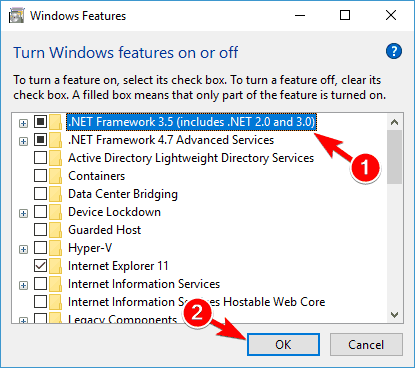 Check if the .NET Framework 3.5 (includes .NET 2.0 and 3.0) option is available in it. If yes, then enable it and then click on OK. Follow the on-screen instructions, complete the installation and restart the computer, if the process requests that from you. After doing that, .NET Framework should start working again without any problems. You can also get .NET Framework 3.5 from Microsoft. Besides installing .NET Framework 3.5 through the Control Panel, you can also install it on-demand. 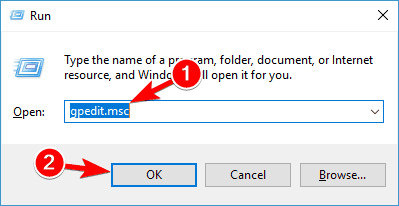 If a certain app requires the .NET Framework 3.5, but this feature isn’t enabled on your computer, the installation wizard will display the prompt for installing .NET Framework 3.5 on demand. To install .NET Framework 3.5, in this prompt choose the option Install this feature, and .NET Framework 3.5 will be automatically installed on your computer. Press Windows key and R at the same time. Type cmd in the Run dialog box and press Enter. In order to run this command, you’ll need to replace X with the letter that represents the drive with installation media. After running this command, you should be able to install .NET Framework 3.5 on your PC without any problems. Keep in mind that you might get message saying that you need administrative privileges to run this command. If that happens, you need to start Command Prompt as administrator and run this command again. To see how to do that, be sure to check Step 1 in Solution 5. If .NET Framework 3.5 is missing and you can’t install it, you might be able to fix the problem by downloading the latest Windows Updates. 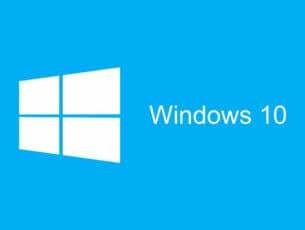 Sometimes bugs can prevent certain components from installing, but you should be able to fix them by updating Windows 10. Now click on Check for updates button. 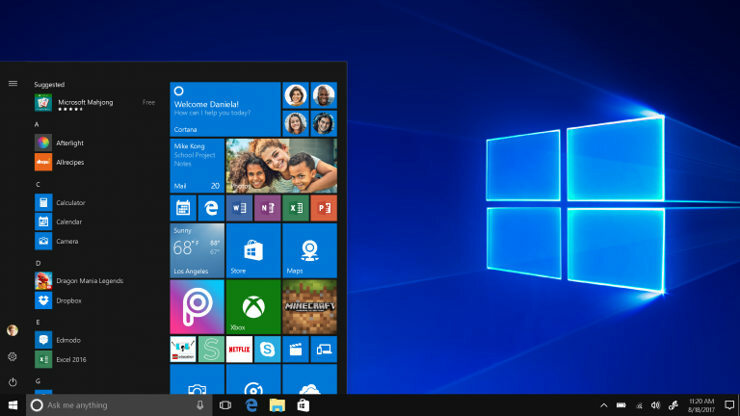 Windows 10 will now check for available updates and download them in the background. After downloading and installing the latest updates, you should try to install .NET Framework 3.5 again. Several users reported certain issues and error messages while trying to install .NET Framework 3.5 on their Windows 10 PC. This is most likely caused by file corruption, and in order to fix these problems it’s advised to perform an SFC scan and check if that helps. Press Windows Key + X to open Win + X menu and choose Command Prompt (Admin) or PowerShell (Admin) from the menu. When Command Prompt starts, enter sfc /scannow and press Enter. SFC scan will now start. Keep in mind that SFC scan can take about 15 minutes to finish, so don’t interrupt it. DISM scan will now start. The scan can take more than 15 minutes to complete, so be sure not to interrupt it. Once you complete the DISM scan, try to install .NET Framework 3.5 again. Users reported that DISM scan worked for them, but if you still can’t install .NET Framework, repeat the SFC scan and check if that solves the problem. Open Command Prompt as administrator. 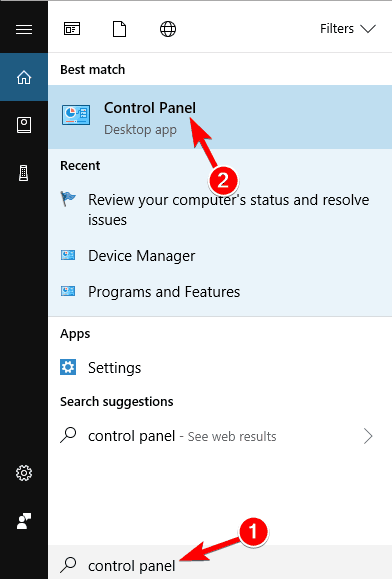 We showed you how to quickly open Command Prompt in the previous solution, so be sure to check it out. Once the Command Prompt opens, enter lodctr /r and press Enter to run it. After the command is executed, the problem should be fixed and you’ll be able to install .NET Framework 3.5 without any issues. Many users reported that this solution worked for them, so if you have any problems installing .NET Framework, be sure to try this solution. Press Windows Key + R and enter gpedit.msc. 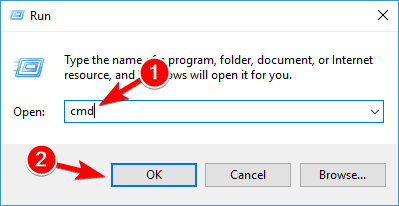 Now press Enter or click OK. Keep in mind that this tool is available only on Pro versions of Windows 10, but there’s a way to run Group Policy Editor on the Home version of Windows. When Group Policy Editor starts, in the left pane go to Computer Configuration > Administrative Templates > System. 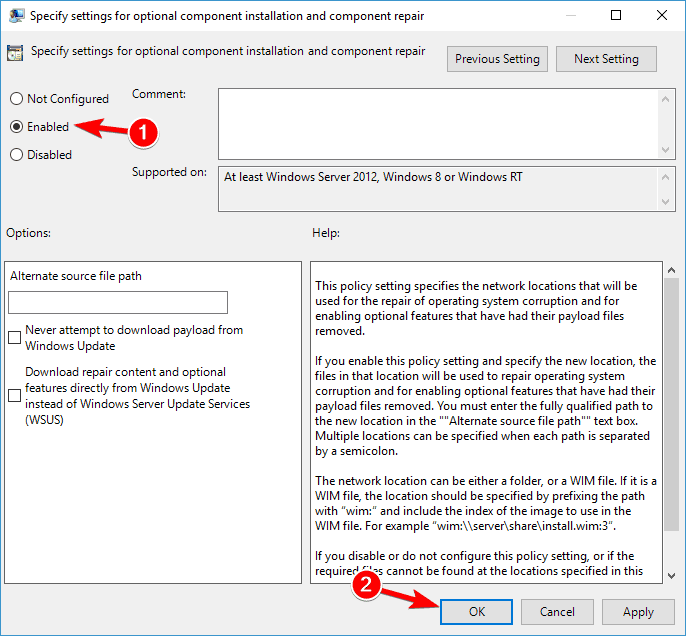 In the right pane, double click on Specify settings for optional component installation and component repair. New window will now appear. Select Enabled and click on Apply and OK. Optional: Check Download repair content and optional features directly from Windows Update instead of Windows Server Update Services. After making these changes, you just need to start Command Prompt as administrator and run gpupdate /force command to apply the changes. After doing that, you should be able to install .NET Framework without issues. Press Windows Key + S and enter control panel. Choose Control Panel from the list of results. When Control Panel starts, make sure that Category view is enabled. Now navigate to System and Security section. Now click on Review your computer’s status and resolve issues. If you see any warnings, be sure to resolve them. Once all issues are resolved, try to install .NET Framework once again. One of these steps should solve your problem with .NET Framework 3.5 in Windows 10, but if something doesn’t work for you, or you have some additional questions, please leave your comment in the comments section below. Editor’s Note: This post was originally published in February 2015 and has been since completely revamped and updated for freshness, accuracy, and comprehensiveness.